St. Valentine Here are few arrangements that are a little example of the romance were trying to capture in our work. This time of year is exciting for all of us, as we experiment with both classic compact looks, as well as loose flowing styles. Most important is the use of Red, and nothing says Valentines more than a red rose. 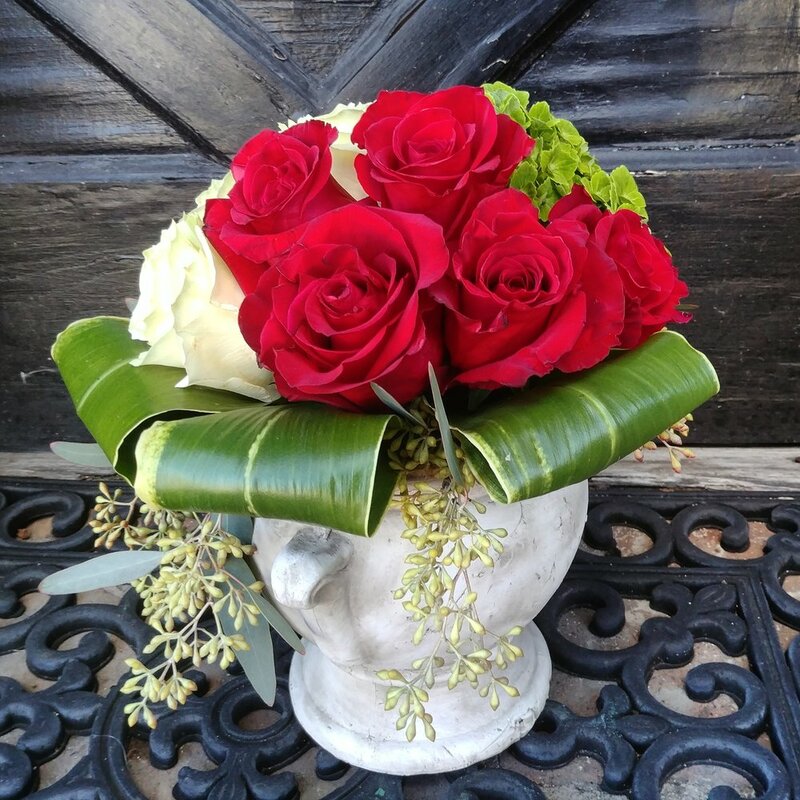 The red rose is the key element in this variety of arrangements pictured here. A big part of why designing florals is so fun for me is the idea of color. I love color combinations and the infinite possibilities that come with them. Sometimes when looking for inspiration I don’t need to look very far. When creating floral arrangements, I am often influenced by naturally occurring contrast in my surroundings. In this case I was inspired by the transition of day to night , and went with a color pallet that reflected this moment. For this arrangement I capture this natural contrast by arranging in a simple but elegant pave style, and letting the colors speak for themselves. 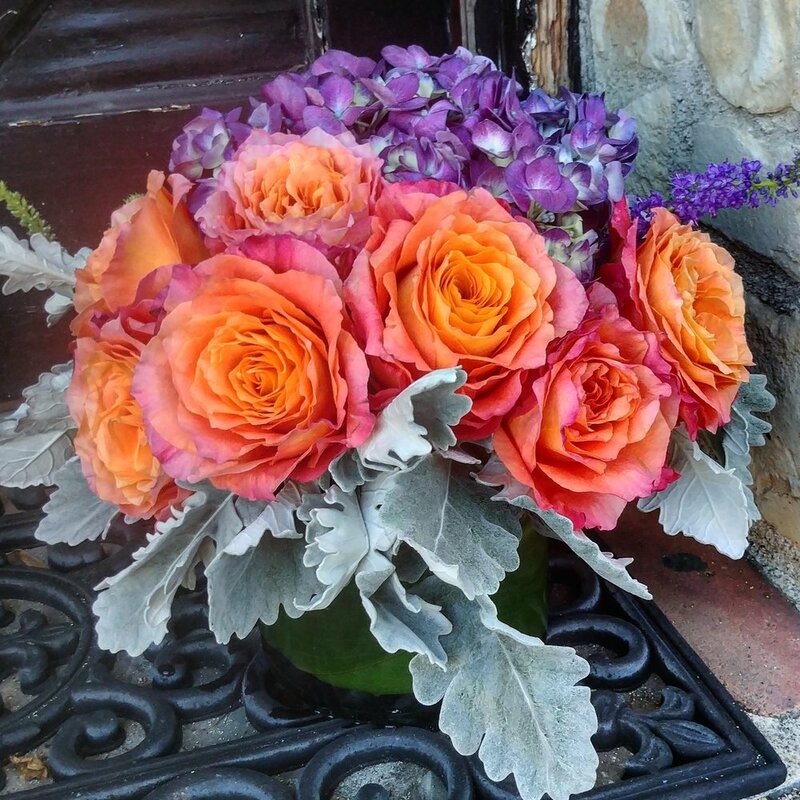 I used multi-colored free spirit garden roses, paired with a vibrant purple hydrangea. The peach, pink, and orange tones of the roses, well capture the last fleeting moments of daylight. 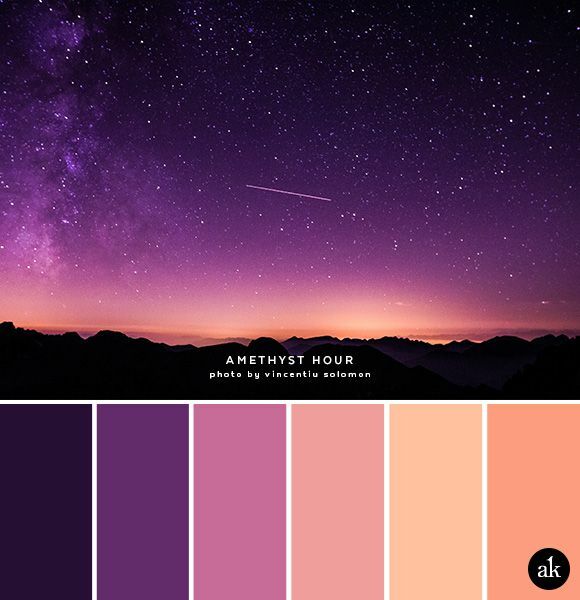 These tones naturally pair well with the deep purple that capture the essence of the night sky. This combination of colors guarantee to make an arrangement that pops as well as giving it an otherworldly look. To add the finishing touch, I added some silver dusty miller around the base to complete the look.